Touch the Sun, the winner of an international Emmy Award, is a series of four telemovies of 95 minutes each. The telemovies feature mystery, comedy, pathos and fantasy; and encourage young viewers to explore issues such as growing up, being different, resolving conflict and fears, seeking identity and working out values. Sam has lived in the city, and thinks he knows it all. He is also a bully. His cousin Badge is quite different: for him, life has been a constant struggle against nature. The antagonism between the boys becomes heightened when they set out into the bush in search of a lost cow. Johnno is 10 years old, deaf, and always in trouble. He lives in a small fishing town, and shares his love of the sea with Tony, an Italian fisherman ridiculed by Johnno's dad and the rest of the townspeople. 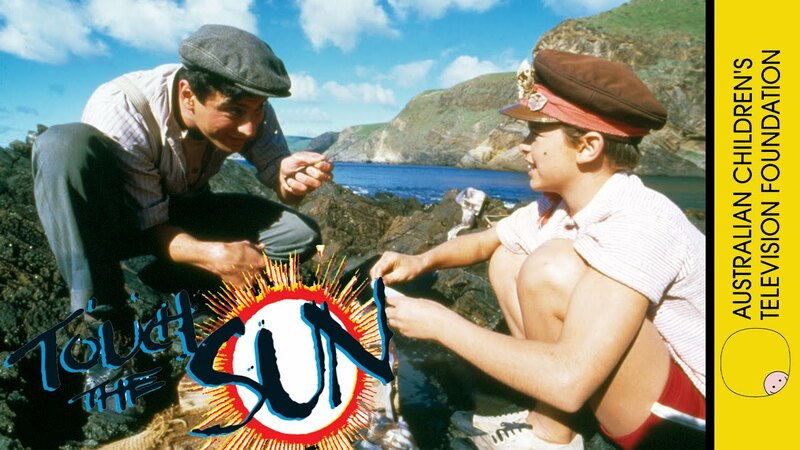 When Johnno's sister leaves for a boarding school, Johnno is devastated and runs away to a nearby island. The town is thrown into panic, and the only person who may be able to find Johnno is Tony. Peter, Margaret and Wayne discover an Ancient Roman boat, containing a manuscript. The discovery changes the tiny little town of Gamma into a brash tourist centre. The children also find that their lives change too - and they don’t like what is happening. The manuscript reveals that the boat is cursed. The children decide that in order to save Gamma, they must destroy the boat. Sophia and Nikos are inner-city kids who win a plot of bushland as a prize in a television quiz show. The children journey with their grandfather to visit the property, 3,000 kilometres from home, and discover a mysterious, beautiful and magical place. But soon the children's lives are thrown into turmoil as their family and friends argue over what should be done with the land. Alice and her mother have been managing quite well on their own, so Alice is not impressed when her father, Jack, decides to come back home. Johnno is 10 years old, deaf, and always in strife. Johnno lives in a small fishing town and he has an affinity with the sea that he shares with Tony, an Italian fisherman, whom the townsfolk also ridicule. Johnno's best friend is his sister, Julie, who is going away to boarding school in the city. When Johnno hears this news he is devastated and runs away to his secret place, a deserted island. Johnno's running away causes much havoc in the small community and the experience helps him realise that he must learn to live with his deafness and trust those who love him. Because Sam has lived in the city, he thinks he knows it all. He is also a bully. His cousin Badge is quite different: for him life has been a constant struggle against nature. 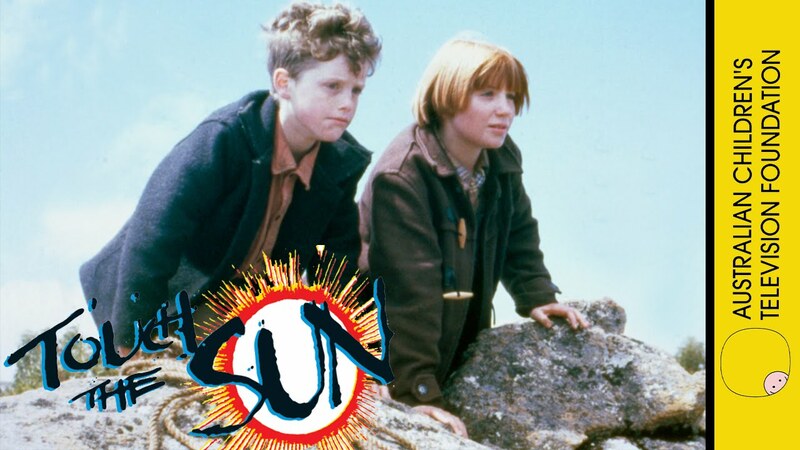 The antagonistic situation between the two boys becomes heightened when they set out into the bush in search of a lost cow. Little by little though, the children learn to overcome their differences and even to appreciate the good points that each other has to offer. Sophia and Nikos are inner-city kids who win a plot of bushland as a prize in a television quiz show. The children journey with their grandfather to visit the property, 3,000 kilometres from home, and discover a mysterious, beautiful and magical place. But soon the children’s lives are thrown into turmoil as their family and friends argue over what should be done with the land. Peter, Margaret and Wayne discover aRoman boat in a cave that contains the manuscript of young Pompey. The discovery changes the tiny little town of Gamma into a brash, hyped-up tourist centre. The children also find their lives changing too – and they don’t like what is happening. The manuscript found in the boat reveals that the boat is cursed; and until the boat is destroyed it will continue to curse all that come into contact with it. The children must decide whether to save the boat, or destroy the boat and save Gamma. On her 14th birthday, Kate feels that her life is perfect. That is until she discovers that she is adopted. Kate becomes obsessed with finding out who were real parents are. She eventually meets her mother and her half-siblings, who know nothing of Kate’s existence. In her quest, however, Kate has been oblivious to her adoptive parents’ feelings. Their concerns make her realise how important they are to her. Alice and her mother, Sue, have been managing quite well on their own for some time, so Alice is not impressed when her father, Jack, decides to return home to live. Alice leaves home in disgust. On the road she meets Mick. They team up and eventually go in search of the outstation where MIck's community is living. They have few survival skills and become lost in the desert. By this time a search party has been out looking for the children and it takes a car accident, which nearly costs Jack his life, for Alice to realise that her father really does love her.